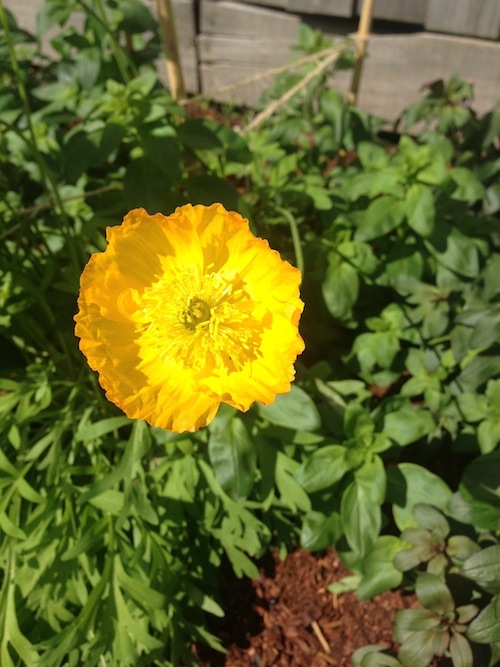 When I moved from Hobart to Melbourne last year, I knew I would have had to make a lot of adjustments to the way I was used to gardening further south. The climate, the soil, pests & diseases, and availability of products will all play a part in how my veggie gardening will evolve over the next few years. The first thing I have had to get used to is my sandy beachside soil. While this was advantageous in how easy it is to dig in & work with, as the weather gets warmer I am noticing more & more how a warm breeze can dry out the top layer of soil very quickly. I have already dug in several bags of cow manure and compost, but last weekend I took the plunge and bought some fine pine bark mulch from my local hardware shop. I noticed the plants no longer get droopy when its warm & breezy, and they already seem to be loving the extra nutrients this will add to the soil structure. For my veggie patch, I also bought some pea straw to add an extra layer of insulation against water loss. So all around my seedlings and full grown salad veggies I put a layer of pea straw down & then a layer of fine pine bark mulch. The veggies have loved it! The carrots are at least twice as bushy as when I showed them on the 31st, and the mizuna and rocket have stayed fresh & perky all week. The birds however have also been enjoying the pea straw. Birds. I have never had to deal with birds my entire gardening life. I was quite taken aback by the determination of these birds to scratch through every ounce of pea straw to find the leftover pea seeds and bury my tiny lettuce & dill seedlings in the process. What to do?!? As you might have seen from the photos, I already have chicken wire around the seedling beds to keep my cats from digging them up. But I didn’t have any spare mesh to put on the tops of the cages as well. 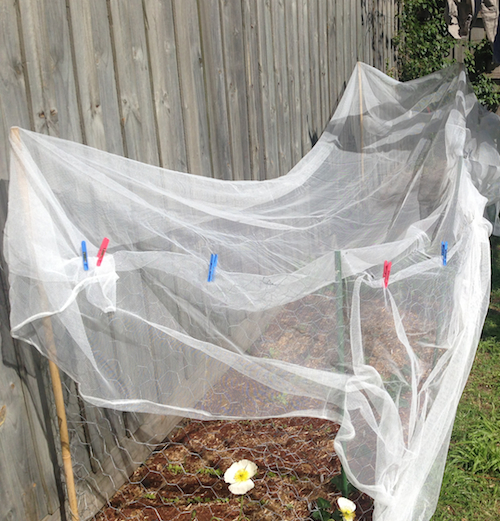 So I went rummaging in my shed in desperation one afternoon and dug up my veggie nets I bought for an entirely different set of pests (insect pests such as fruit fly & cabbage moth) and hastily draped one over my mesh cages and secured it down with clothes pegs. Its not pretty – but it works! These veggie nets only block out 15% of the sunlight and still let the water and air through so they’re pretty good in my opinion. And I am happy to report the birds have stayed well away from the pea straw since I put it up! And even though the pea straw is now all mixed in with the mulch instead of them being two nice neat layers, the plants don’t seem to know the difference. 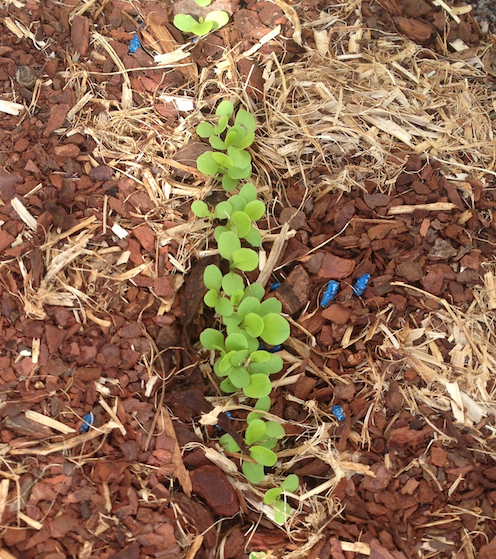 All the lettuce seedlings (2 weeks old now) have their first set of true leaves. I don’t think I’ve ever been this excited about lettuce as this year – I want to spend the whole summer eating home grown salads! 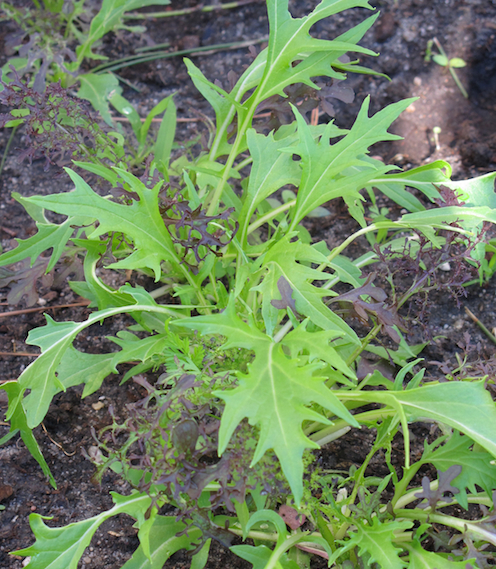 The mizuna also have their true leaves now, and the dill and coriander are not far behind. 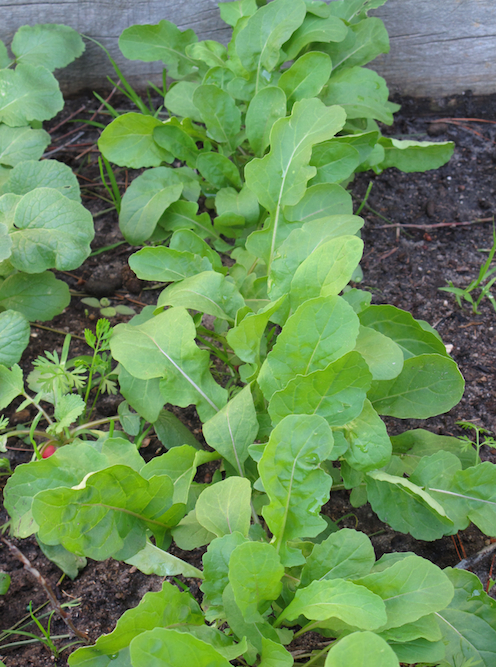 I have harvested 2 lots of rocket this week and they aren’t showing any signs of slowing down yet, though just to be on the safe side I sowed another row of them this afternoon. If I can salvage some of the lettuce seedlings that are growing way too close together, I will fill out some of the gaps here with lettuce, because you can’t have too much lettuce. I also sowed a row of beans today, a dwarf variety called Stringless Pioneer. I love beans, I hope they really do yield 500grams per plant, I’ll be in heaven even though I only have space for 1 row. 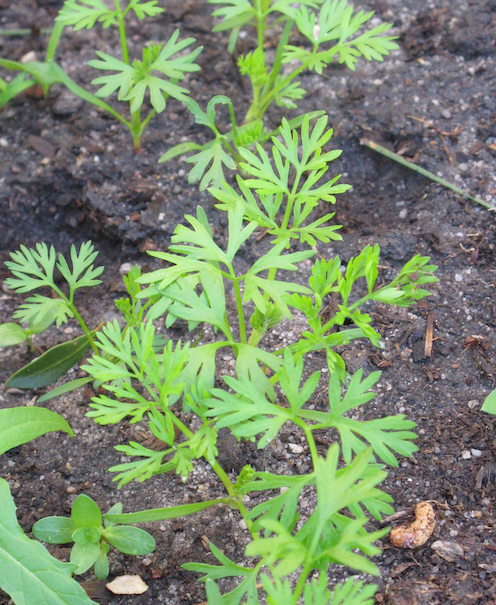 I also want to sow some more carrots somewhere, as they take so long to mature I want to at least attempt to have a somewhat rotating carrot crop. 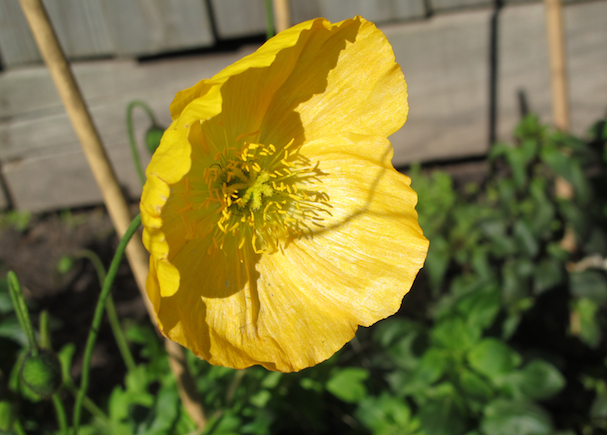 I’ll end tonight’s post with another poppy photo, they are just so cheerful. 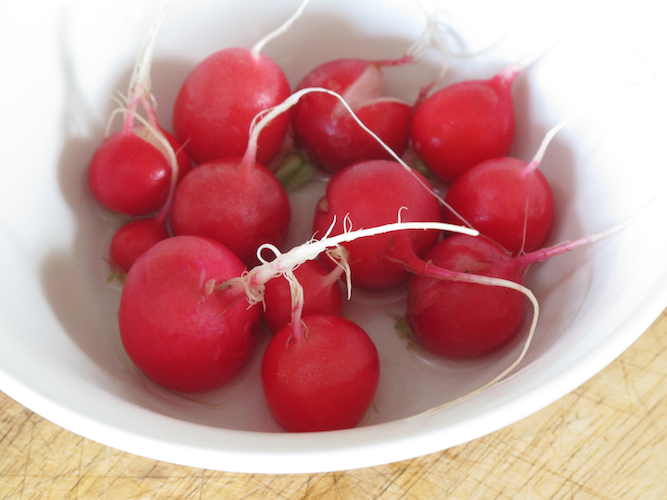 Well, its been exactly 8 weeks since these seeds were sown and I must admit I have harvested a bit too, last weekend! 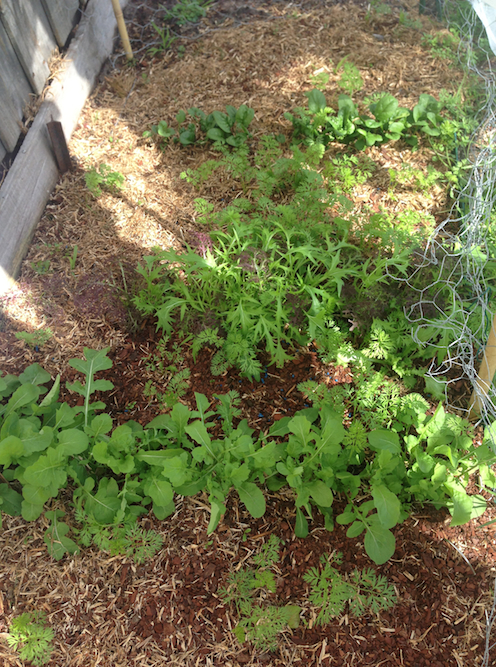 The mizuna and rocket have grown enough to harvest for one salad at a time, and are very nice indeed at this time of year, because as of tomorrow (!!!!) its going to be Spring! I don’t think I’ve been as excited about Spring as I am this year, mainly because I have my own garden again after 13 months of renting, and also this is the first garden I’ve ever had in sunny Melbourne. 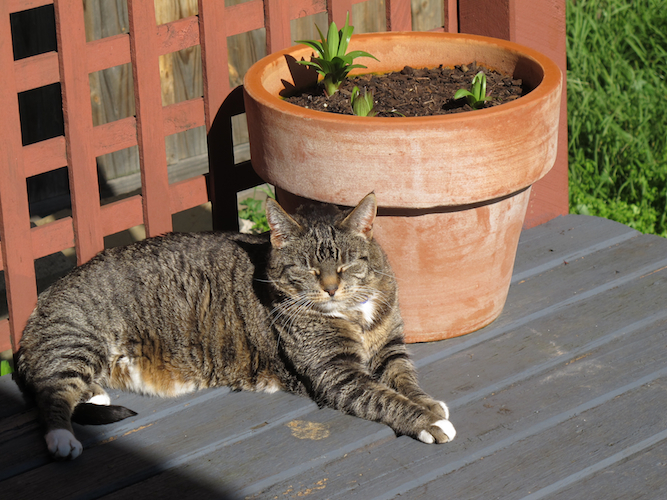 Speaking of sunny, we got up to around 23°C today which was really so restorative after the mostly-rainy week we had, and a wonderful reminder that Spring is literally only one day away. The red mizuna doesn’t show very well against the dark soil but its definitely there… perhaps if I remember tomorrow I’ll take a photo of the salad on the plate! I’m going to save the seeds from these yellow ones, I just love them! 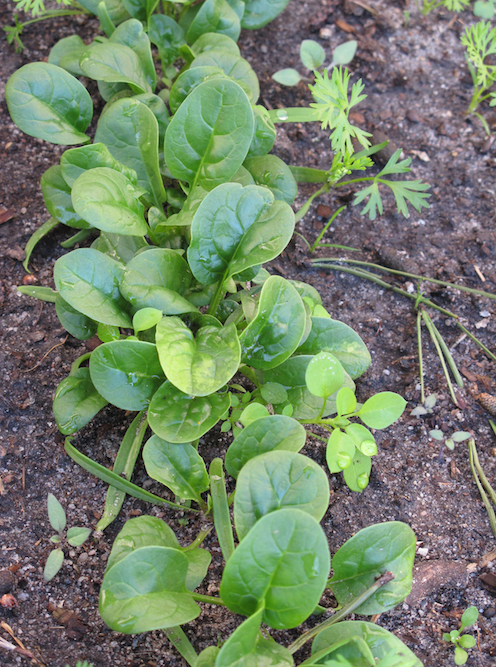 Last weekend, I planted another round of seeds: Mizuna, chives, dill, coriander, mignonette lettuce, baby cos lettuce, and two rows of Italian “Lollo” lettuce which are an especially ruffled variety that comes in both red & green. To my surprise a lot of the lettuce seedlings have already sprouted. 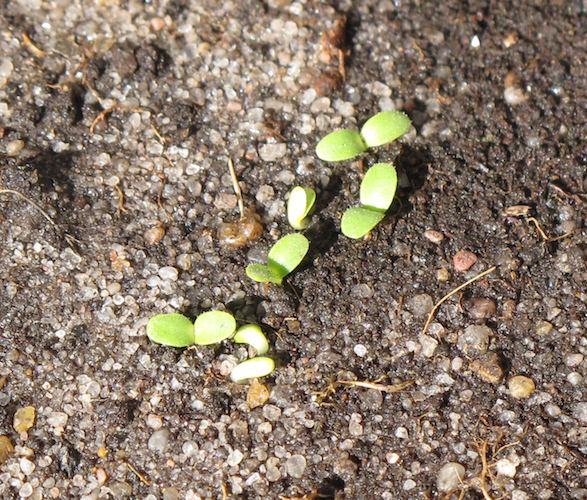 Lettuce seedlings really do start out as the tiniest seedlings ever, I can see why many gardeners prefer to buy them as seedlings. But I am yet to find a range of lettuce as good as on Diggers or Eden Seeds in any nursery or garden centre. 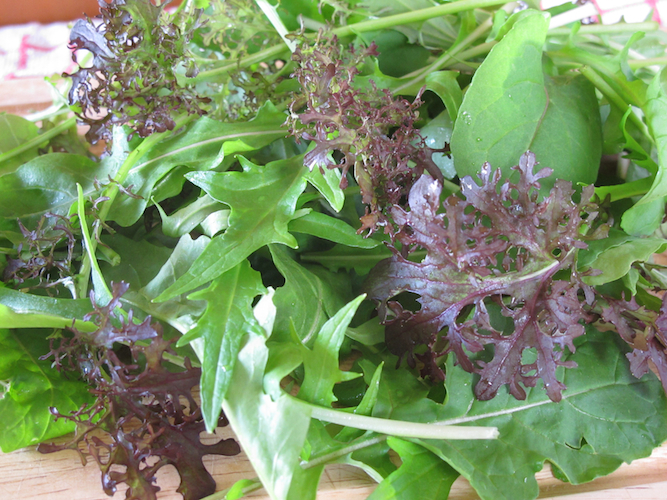 Besides, you buy a packet of seeds for half the price of a punnet of seedlings, they keep for years, and you can grow between 200 & 350 lettuces from each packet! Now that’s what I call value. I’m sure these tiny seedlings will get bigger by next weekend, as its going to be a warm and sunny week if the weather report is not lying to me! Yes I do have a problem with spacing. I might try (more experimenting!) 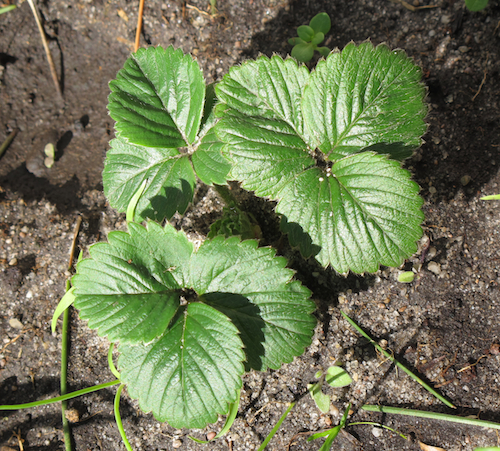 to transplant some to elsewhere in the garden once they’ve got their first set of true leaves.